How Can I Be As Hungry for God As I Am For A Cookie? For years I craved sweets and comfort foods. When I was lonely, tired, angry, depressed, overwhelmed, stressed or even happy, my first reaction was to run to my drug of choice. My god had become my stomach. God was not on the throne of my life. In order to lose 260 pounds, I had to put God back in His rightful place as my Lord, Master and King. I had to let Him lead me every step of the way. I have come a long way from when I weighed 430 pounds. 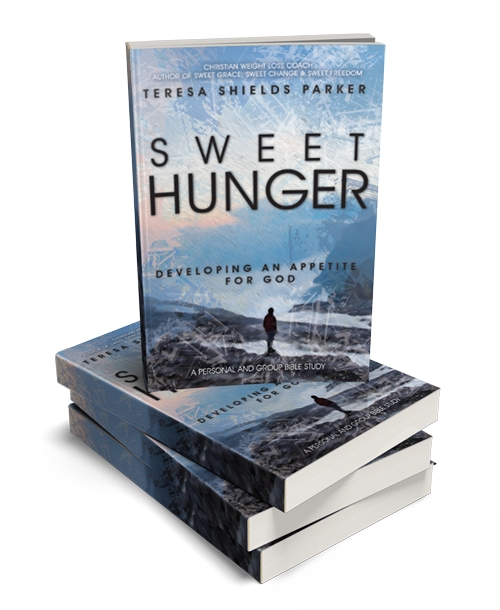 Designed for personal Bible study, the eight lessons, questions and activities in Sweet Hunger can also be used for groups. The downloadable Leader’s Guide is free by going HERE. There are also nine video teachings. 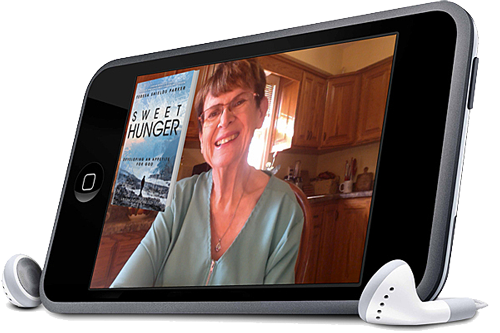 Shot from Teresa’s kitchen, these video teachings are the summation of each chapter and the introduction. Reasonably priced, individuals and groups alike will benefit from hearing about each chapter from the author. To learn more about the video teachings, go HERE. 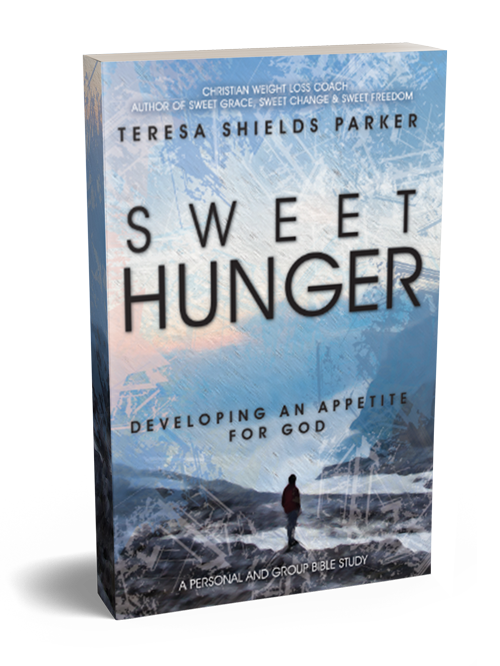 Although Teresa talks about sugar and food addiction in this study, the main theme is how to want God more than the thing you value or run to most in this world. He is who we need to live for.